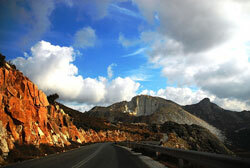 With this excursion you get the chance to get an overall picture of Naxos. Departing from Chora you get to cross the island from one end to another, by following an internal route that crosses the heart of its mountain paths. You end up at Apollonas, a beautiful fishing village, to the northern coasts and follow the onshore route back to Chora. Brief stops at villages and sights, guided tours.